Accepts Most Cards! Visa, MasterCard, Discovery and American Express! MENTION CODE WORDS "LEAVES FALLING" AND RECEIVE $10 OFF YOUR NEXT SERVICE! When you have an ugly stump in the middle of your front yard or overgrown trees around your commercial property, you need professionals who know how to take proper care of trees to handle your tree problems. While trees are nature’s gift to any property, they are a nuisance when they are overgrown, and it is an eyesore when there are stumps sticking out of the ground. Chico Tree Service has the experts you need to restore the appeal and appearance of any property covered by natural vegetation. At Chico Tree Service, we rely on a team of professionals with the training and experience required to effectively and safely remove trees from any property. Whether you want to enhance the appearance of your backyard by pruning overgrown branches or you want a company with the right equipment to dig up and grind protruding stumps at affordable pricing, we are the company to call. We specialize in maintaining trees that are too big for you to take care of yourself. 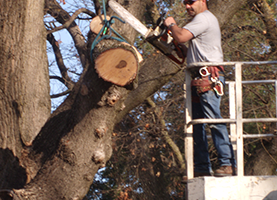 Chico Tree Service is the best in providing residential and commercial tree care services, not only because we have the right talent and cutting-edge equipment, but also because we strive to exceed the expectations of each customer. When you call us to take care of a tree issue on your property, our trained and licensed experts will work with you to ensure that you get the results you want. We understand that every customer has their unique preferences and budgets, and as such, they need services tailored to meet their needs. 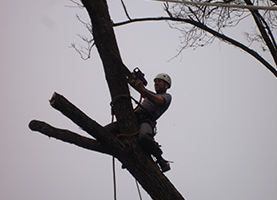 It does not matter what kind of tree problems you need solved, Chico Tree Services has the expertise, manpower, and passion to do it right the first time. Give us a call today, and take advantage of our senior and military discounts.